April 2018 - Comer Construction, Inc. Archive | Comer Construction, Inc.
Congratulations to Steven Reil, Comer Construction's March Employee of the Month. 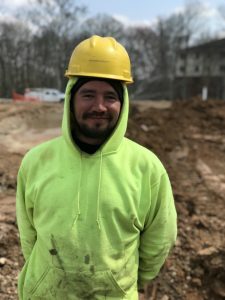 Steven has been a dedicated employee with Comer Construction for nearly 11 years, serving daily in his role as Equipment Operator. Steven is responsible for operating heavy equipment, such as loaders and end dumps, within our grading division.